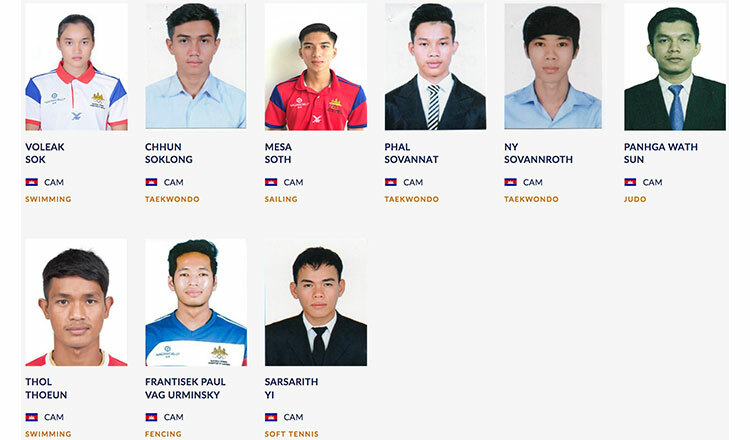 The remaining members of Cambodia’s Asian Games squad depart for their Jakarta odyssey today with the support of the nation spurring them on in a competition which represents two-thirds of the earth’s population. 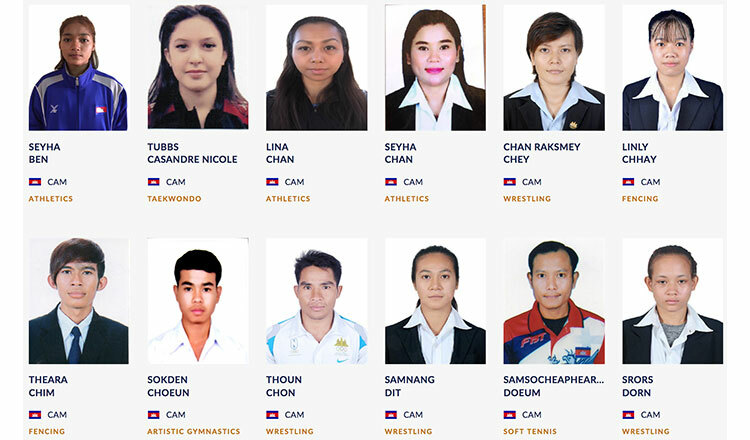 45 Cambodian athletes will participate in 13 sporting disciplines in the 2018 Jakarta-Palembang Asian Games, chosen following a series of discussions between the NOCC and the Ministry of Education, Youth, and Sports earlier this year. 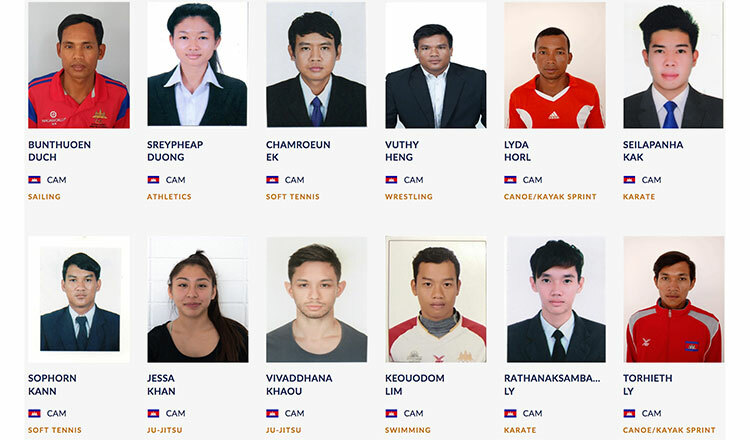 “These 13 individual sports have a technical quality which Cambodia can compete in against other countries In Asia. They include taekwondo, gymnastics, swimming, athletics, and judo. 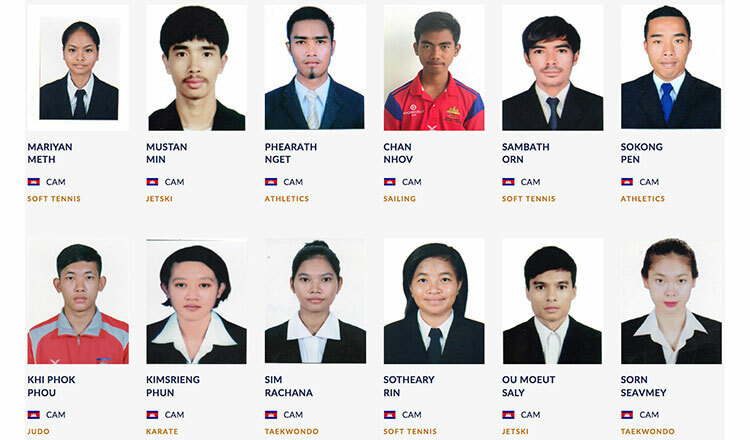 In these sports we expect to have a shot at earning medals,” said Mr. Vath Chamroeun, secretary general of the National Olympic Committee of Cambodia. Seavmey, who left for Jakarta earlier in the week, recently returned from a six-week training jaunt in South Korea. She told reporters she worried about meeting the high expectations of fans. 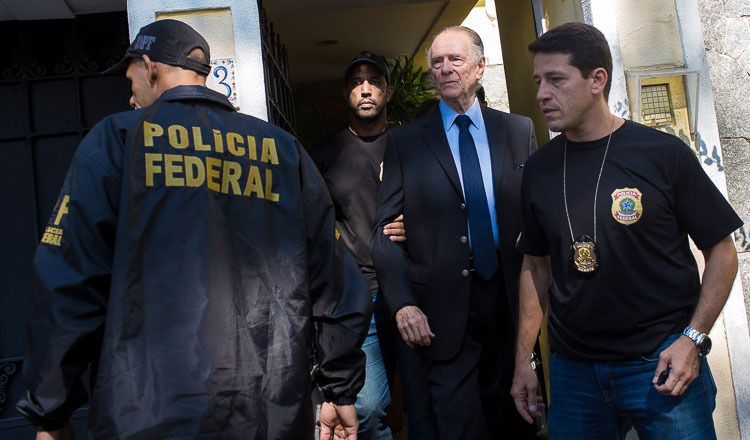 “I think this year will be more difficult than 2014, said the 22-year old who stands over 1.8 metres tall. “I am also worried that if I don’t perform as well as I should – will the fans in Cambodia still love and support me”. Meanwhile, her coach Choi Yong-sok said he had reservations about Seavmey’s knee. She had surgery on her knee last year and coach Yong-sok fears it may never be 100%. While the Asian Games will see teams compete in sports as diverse as Pencak Silat and Sepak Takraw, to Jiu Jitsu and Sailing, a sport which will not see a Cambodian entrant is football – perhaps the nations most loved sport. Senior members of the National Olympic Committee of Cambodia clarified why a Cambodian football team would not be involved. NOCC representatives said the focus for Cambodian football is on the SEA Games – and especially for the Phnom Penh SEA Games in 2023. “We can compete at Under-16, Under-18, Under-21 youth levels as this will help our bid to improve before 2023, said the secretary general. 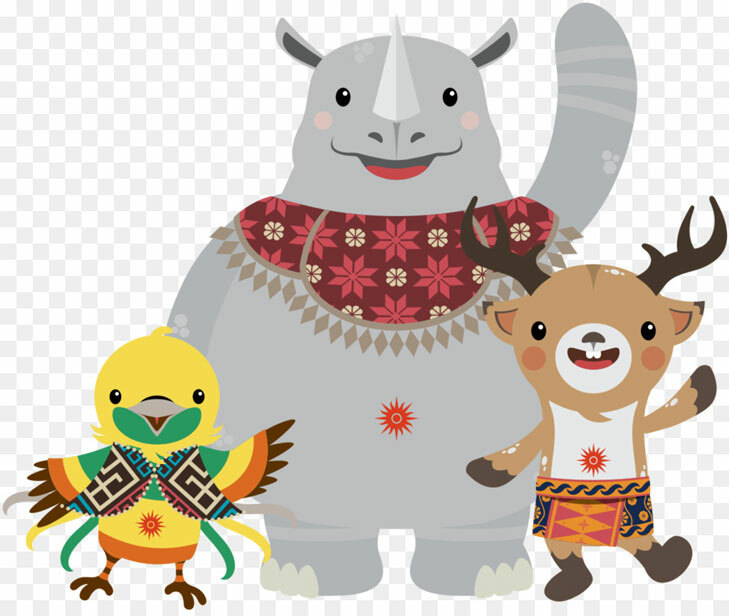 “But we did not yet join the Asian Games,” said Mr. Chamroeun. 24 countries will compete in football in Jakarta with ASEAN represented by Indonesia, Laos, Thailand, Timor-Leste, Vietnam, Malaysia, and Myanmar. Singapore, Brunei the Philippines, and Cambodia will not compete. Ahead of their departure, the Asian Games delegation met with Prime Minister Hun Sen at the Peace Palace last week where they received his customary words of encouragement. 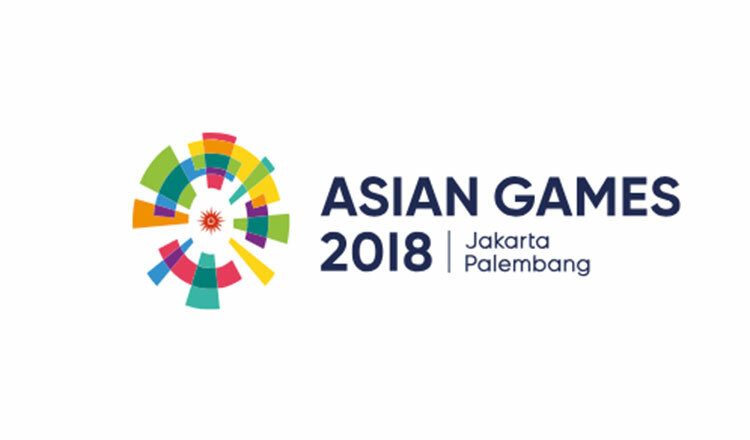 The government also lavished cash gifts to all 71 athletes, coaches, and delegates to the Asian Games totalling $35,500. Showering money into sporting development in Cambodia has been a feature of the Prime Ministers recent leadership. In 2017, he received an International Olympic Committee award in recognition of his efforts to encourage sport. A monument to the government’s commitment to the development of sport is the Morodok Techo Sports Complex on the northern outskirts of Phnom Penh. 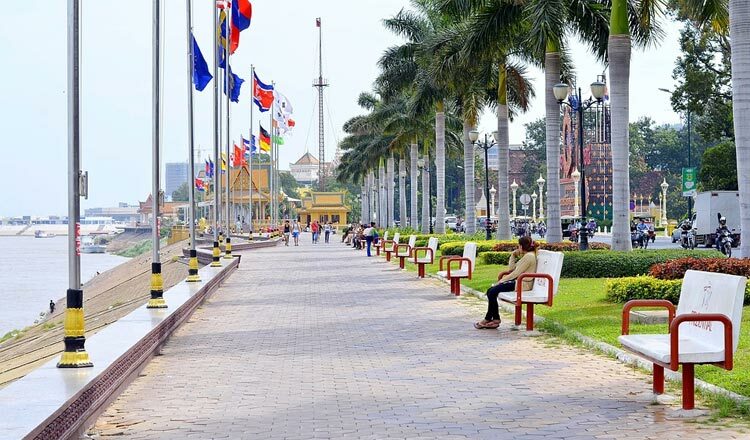 Built in preparedness for the Phnom Penh SEA Games in 2023, phase 1 was completed last April and forms part of a larger sports complex under construction for the last five years. The committee anticipates that the sports complex will be completed in its entirety, by 2020 or 2021 and will accommodate 100,000 people. On Wednesday, an Ethics and Discipline Workshop was held in Phnom Penh by representatives of the Ministry of Education, Youth and Sports and the NOCC with organisers reminding all delegates and coaches to be well aware of the rules of the Games. “All athletes must maintain the dignity of Cambodia, both during the Games and in their matches, said Mr. Chamroeun. “Substances that hinder or increase performance are not to be used. When eating anything be very careful and check to find out if it is forbidden,” he explained. At the Incheon Asian Games in 2014, Yi Sophany, an 18-year-old Cambodian soft tennis athlete, was dismissed after she tested positive for a banned stimulant. Sophany’s pre-competition sample had tested positive for the banned substance Sibutramine – an appetite suppressant found in numerous dietary supplements. 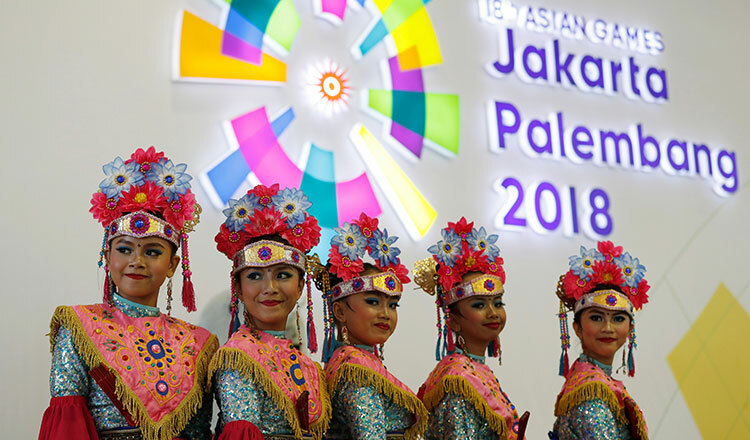 The Jakarta-Palembang Asian Games 2018 will kick off tomorrow and will see almost 12,000 athletes from 45 countries descend on Indonesia to compete for medals in 40 sporting disciplines. The competition proper starts on Sunday, although up first is what is sure to be tomorrow’s spectacular opening ceremony.